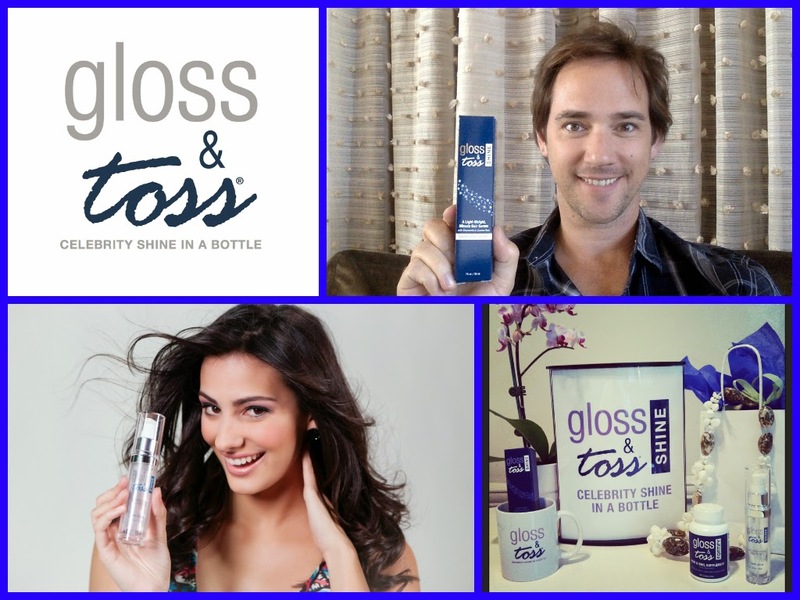 Celebrity Hair Tips - Top uses for Gloss & Toss - as we do on the red carpet. Everyone's in love with Gloss & Toss! We even have top stylists at the prestigious Beverly Hilton using Gloss & Toss on their VIP and red carpet clients here at the hotel. But here are our top 10 tips on using Gloss & Toss and ways to keep your hair super gorgeous. 1. Apply a small amount to wet/clean hair & distribute evenly. Don't just apply w/ fingers - be sure to brush through w/ a large paddle brush for even saturation. 2. Blow-dry hair smooth in normal manner by removing 70-80% moisture FIRST, then use brushes as desired. 3. For a wash & wear look - simply apply Gloss & Toss through to ends, distribute evenly, and allow hair to air-dry. 4. For a natural look, apply Gloss & Toss throughout, "scrunch" back sections of hair and allow those to air-dry - BUT, blow-dry the front 1/4 sections of hair smooth. The back sections will dry naturally and have a soft tousled look with front smooth sections blended in. GORGEOUS. 5. Reapply Gloss & Toss as needed even after hair is dry for added polish & shine. 6. Cocktail Gloss & Toss with some of your favorite products like volumizing serums, gels, or shapers. 7. Apply a small amount of Gloss & Toss to hair prior to swimming to help protect hair against build-up of chlorine or ocean water. 8. Add a nickel sized amount of Gloss & Toss to any conditioning treatment either at home or in salon for an added moisture boost & shine. 9. Salon professionals can add a small amount of Gloss & Toss to professional hair color services for added "slip" & shine during application process. 10. Gloss & Toss works well prior to any flat ironing or smoothing processes to help protect hair against thermal styling. Those are some of our FAVORITE tips and uses for Gloss & Toss and we look forward to hearing what some of yours happen to be. 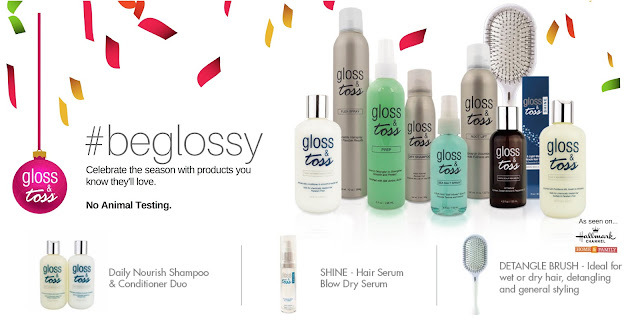 Please visit www.glossandtoss.net for your own Gloss & Toss experience and we look forward to hearing from you soon.